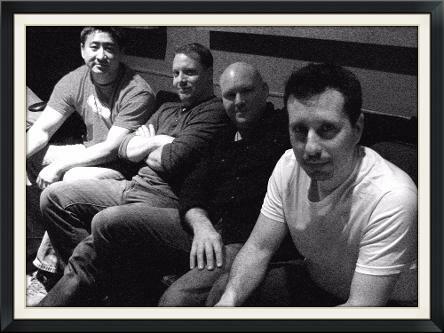 Desperate Executives was featured on CIUT's "Unsigned Radio" hosted by Shaun O'Neill. "Toronto band Desperate Executives describe themselves as "white collar workers channeling their frustrations and thoughts about life and its daily grind into music". Their sound is actually more blue-collar, as it is meat and potatoes rock 'n roll that fits alongside the likes of The Tragically Hip. If there is "sweet justice", it'll succeed as the preview single of that name is a solid offering." "I managed to slide in halfway through the set of Desperate Executives and found myself disappointed I’d missed the first half. An indie roots-rock band hailing from Toronto, Desperate Executives are exactly that: white collar workers channeling their frustrations and thoughts about life and its daily grind into music. Self-described as a blend of Blue Rodeo and The Tragically Hip. I’m more inclined to suggest The Hip with a more poppy-blues feel a la Blues Traveler (tune “Tiny Little Fragments” is reminiscent of their hit “Runaround”), with a little more flavour… Perhaps Wintersleep or solo Chris Robinson in terms of flavour. Straight up rocking blues makes for a head-nodding, hip-shaking good time, perfectly suited to a night at the bar chatting with friends. Vocals are gritty and earnest, perfect alongside the acoustic-driven numbers. I’ll definitely be checking out their release." - Amber Waves "Open 'Till Midnight"